Your financial objectives may range from accumulating wealth to planning for retirement to making your money last as long as possible through retirement. In fact, over the course of your lifetime, you will undoubtedly pursue all of these goals. With the full range of financial services we offer, we can help you be prepared for all the significant events of your life. Our objectives are to preserve wealth, achieve a reasonable rate of return, and counter the erosive effects of inflation and taxes. We provide discretionary asset management services to individuals and institutions and remain committed to following a disciplined investment process. We are held to a fiduciary standard to put our clients’ interests first. Through this relationship, we have a mutually shared goal of protecting and growing your portfolio. There’s much more to your life than simple transactions and returns. Similarly, there’s more to financial planning than just a portfolio and a retirement strategy. 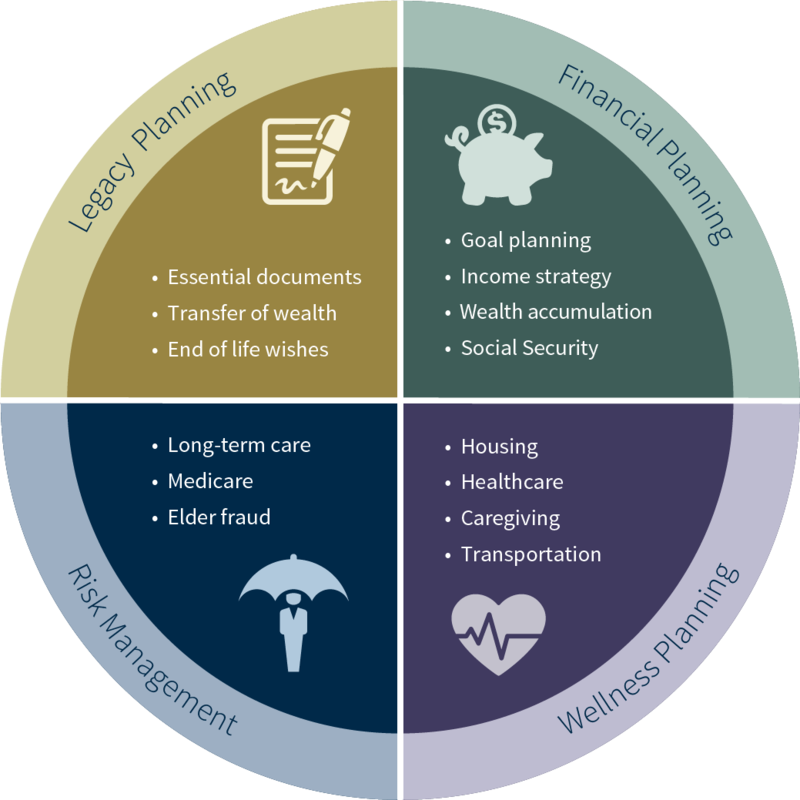 You have many things to plan for now and well into the future, so we look at financial planning through a wide lens, and we develop strategies designed to keep you comfortable in the present while helping you reach your near and long-term goals. Once in retirement, preserving your wealth and maintaining your lifestyle are likely among your highest priorities. Taxes and inflation can reduce your standard of living while health care expenses can become the biggest challenge to preserving the estate you have worked so hard to build. We can help you prepare for this most significant milestone in life. Monitoring your financial progress and adjusting for the current economic climate helps protect against the risk of having to adjust your standard of living in your retirement years. Our comprehensive analysis of your goals, resources and personal financial situation will give you the confidence to make the transition into the retirement you deserve. If your goals include providing for the future of a child or grandchild, we can help you investigate your many options and develop an education funding strategy. We can help you provide for this opportunity with investment vehicles such as 529 college savings accounts, specialized trust vehicles and Coverdell education savings accounts. A well-designed estate plan can effectively help mitigate your family’s tax burden. We can offer financial strategies designed to efficiently manage the transfer of wealth from one generation to the next and mitigate related tax issues.